It’s officially Spring! That means, it’s allergy season once again. Allergies may not be devastating, but they are definitely a nuisance. If you or any member of your family is having a tough time dealing with allergies, especially during the spring, you might want to take some steps to remove irritants from your home. This mini guide can help you reduce allergens around the house and take steps to reduce the sneezes and wheezes for the entire family. According to the EPA, indoor air is 70% more polluted than the outdoor air. That’s alarming considering that most of us spend a decent amount of time inside our homes. How do we keep the indoor air clean and fresh? Changing your HVAC air filters would be a great place to start. Air conditioner and furnace filters are your first line of defense against dust, mold, pet dander, and indoor pollen. They filter out dust and other irritants that would otherwise circulate throughout the house. 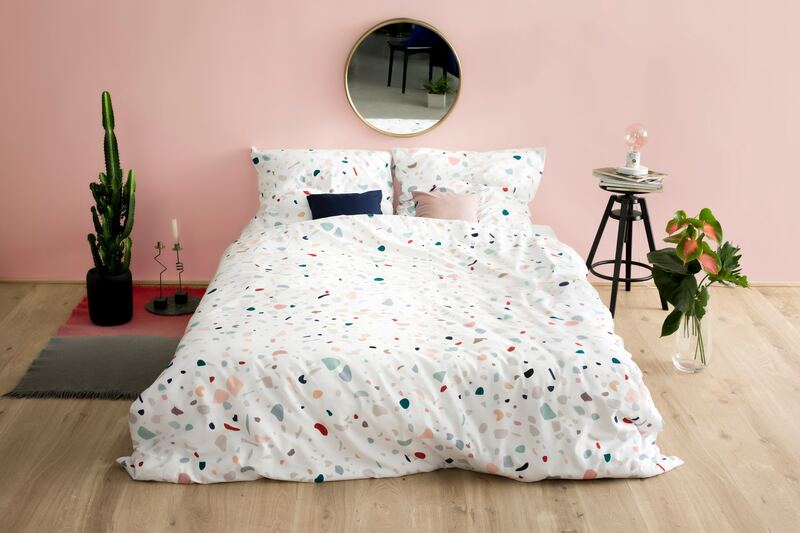 If you are allergic to dust, then we suggest that you cover your pillows sand mattress with zip-on dust mite proof covers to protect your sleeping area. Wash pillow cases, blankets and sheets in hot water at least once a week. Also, avoid putting stuff under the bed as clutter attracts dust bunnies. Encourage family members and guests to slip off their shoes at the door to keep pollen and dusts from entering your home. This will prevent you from spreading allergens throughout the house. Provide exterior and interior doormats to trap shoe muck. Don’t forget to provide indoors slippers for your guests so they don’t have to roam around the house barefooted. Just about every type of allergen accumulates in the carpet, and walking on carpet fibers release these allergens into the air. Tile and hardwood floors are preferable. If getting rid of the carpet is not an option, be sure to vacuum it weekly. Use a vacuum with HEPA filter. Keeping pet dander, pollen and dust at bay is a continuous process. So be sure to dust and vacuum the house at least once a week. Wear a mask and gloves when cleaning and vacuuming. More and more millennials are entering the homebuying market for the first time. In fact, studies suggest that millennials now account for one in three buyers. This number is also expected to rise in the next few years. Millennials now represent the fastest-growing generation of consumers in the country. If you are looking to sell your home fast, it is a good idea to adapt your marketing strategy to millennials. Otherwise, your home may stay on the market for several months. Here are some tips to make your home more attractive to millennial buyers. Millennials like to gather information online, and are considered to be the most competitive. They browse the internet for home listings before they decide to see the property in person. Many of them have already done their research about the neighborhood, the schools and establishments in the area before they even step foot in your home. If they do schedule for viewing, make sure that your home looks exactly as it is on your online listing. Millennials are busy individuals. They don’t have time to paint the walls, tackle repairs or remodelling projects. They want to spend the free time they have with their family and friends. If you are selling your home to millennials, make sure it’s move-in ready. Millennials are a lively group. They love to entertain guests. As such, younger buyers are in search of homes with a large open space that is big enough to accommodate their guests. They are interested in houses with fewer walls and partitions. Patience was long considered a virtue. Living in an age of modern technology, milllennials feel the pull of instant gratification. When selling to millennials, you want to make sure that you respond to text messages and emails as quickly as possible. Many of them don’t have the patience to wait. They have high standards when it comes to customer service, so make responsiveness a priority. Not too long ago, most people dream of having a big house with formal rooms, an oversized Jacuzzi and large basements. Today, however, younger buyers are interested in smaller homes. They live a busy lifestyle, so they want a house that is easy to clean and maintain. And since many of them have no solid plans for the future, most of them are looking for small, economic properties to escape to from the busy city. Selling your home can be emotionally challenging, not to mention time-consuming. Strangers will come into your home, criticize the place that has become more than just a roof to your family, poke around your closets and cabinets and offer money that is less than what you think your home is worth. If you haven’t done it before, it is easy to make a lot of mistakes. The good news is, these can be avoided, especially if you are armed with the right information. Read on and find out how to sell your home for the highest possible price without losing your mind. Real estate agents may command a hefty commission, but that doesn’t mean that you can end up getting more money in your pocket by doing it alone. A good agent can help you set a competitive selling price for your home, interact with the potential buyers directly and negotiate home sales; thus, taking some of the high emotion out of the process. Once you have decided to sell your home, it would be a good idea to think of yourself as a home seller rather than a homeowner. By doing so, it would be easier for you to distance yourself from the emotional aspects of selling the house. 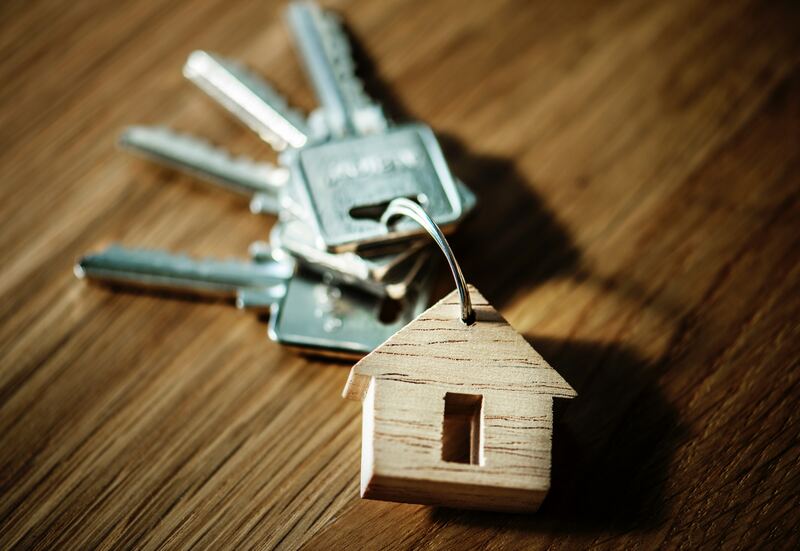 Yes, you have paid a significant amount of money for your house, but that does not necessarily mean that you can sell it for the same amount. When you bought this house, you probably did a comparable market analysis to figure out a fair offering price. Potential buyers will also do the same thing for your home. If you want to sell your home fast, setting the right asking price is the key. You’re not supposed to hide any problems to potential buyers no matter how big or small it is. Anyway, these problems will be uncovered during the inspection, so there’s really no point hiding it. Scheduling a pre-listing home inspection is a good idea as it can help you avoid costly surprises once the home is under contract. Structural damage refers to any type of damage that affects the core integrity of the house. When you property has structural damage, it means the foundation is no longer capable of supporting your home. It may be at risk of failure or collapse. Recognizing early warning signs that may point to foundation issues will help you keep small concerns from becoming bigger, more complicated problems. Here are 4 signs that indicate possible structural damage to your home. Your roof line should be arrow straight. Go outside and look at your house from across the street. If you notice a curve or dip on the peak, this could be a sign that your house has a foundation problem. A sagging roof is a sign of a serious problem that shouldn’t be ignored. Often, it is an indication that there is an issue with the roof structure. Check and inspect your roof and address problems immediately. This will help keep your roof in top shape and prevent water damage that may cause structural problem eventually. New homes tend to move or settle somewhat. That means, hairline cracks on the wall are rarely worth worrying about. 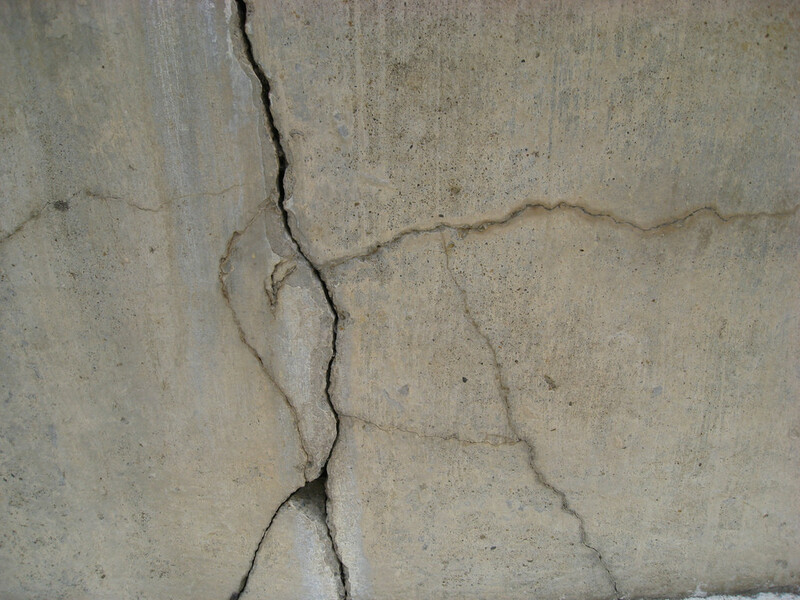 But if you notice that the cracks get bigger over time, it could be indicative of a serious problem that should be addressed as soon as possible. When a level floor develops a slant, it’s a sign that something has shifted in the structure of your home. The problem is that a slight slope in the floor isn’t easy to spot - unless you spill a glass of water and the liquid runs to the same spot or you drop a marble and it rolls to one side of the floor. If your door used to close easily but now sticks or won’t close, it could be a sign that your foundation is settling. This is common in older properties and is usually caused by distortion. Despite their size, termites can eat away at ceiling joists, wall studs or support beams, wreaking havoc on your home’s foundation. A house that is suffering from termite infestation can become unlivable. If you find termite exit holes, call the exterminator right away. During the cold Colorado winter months, most people spend the majority of their time indoors to stay out of the cold. As the weather starts to warm, it’s time to rediscover the outside world and check those areas of your home that need maintenance. Maintaining a happy and healthy home goes beyond just cleaning and vacuuming. 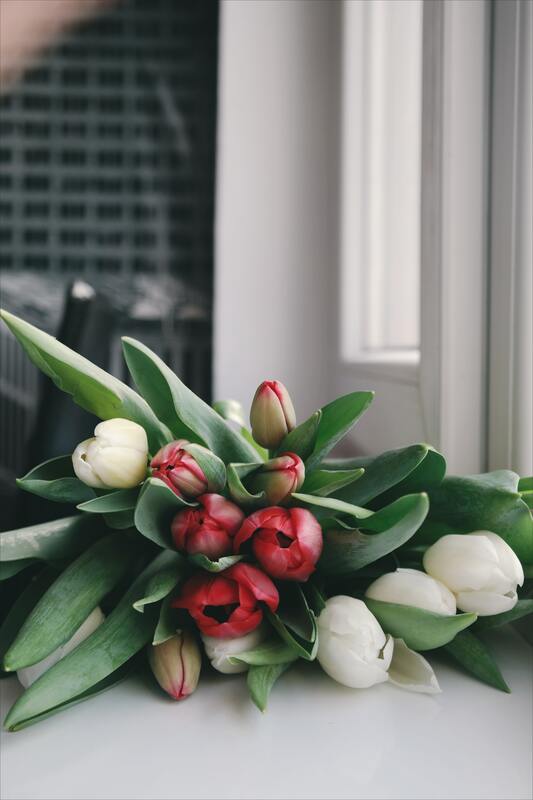 Here are 4 maintenance tips to keep your Denver Colorado home humming for spring. Subzero temperatures can cause water inside the pipes to expand, which results in a massive pipe burst. Once the weather starts warming up, the water thaws and begins to move again. The longer water is allowed to flow, the more you can expect to pay for repairs. As such, it is important to check your outdoor faucets and deal with the problem immediately. A debris-clogged gutter can lead to water damage, foundation issues, and extensive roofing damage. The problem is that most homeowners do not give their gutters much thought, unless there’s a problem with them. That’s why it’s important to keep your gutters clean. Clean your gutters to keep them working like they should. Also, make sure that the downspouts are clear and free from debris and draining away from the foundation. Don’t forget to check for loose or leaky gutters. 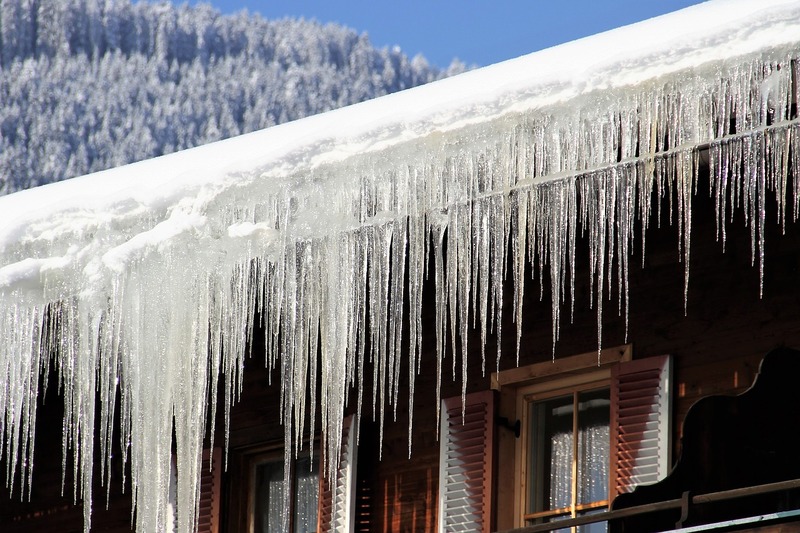 Winter can take a toll on your Denver home’s roof. Spring is an excellent time to inspect your roof to ensure that it is in top condition. Get up close and personal with your roof using a ladder. Do you notice gaps in the shingles, loose shingles, wear and tear around the pipes or loose materials? If so, then you should address the problem in the soonest possible time. If left unaddressed, you may find yourself facing water damage. Your roof is your first line of defense against water damage. You want to make sure your it is equipped to handle the elements. According to statistics from the Centers for Disease Control, 8% of Americans experience seasonal allergies. With the changing of seasons comes an increased output of pollen from weeds, grass, trees, and the specter of allergic rhinitis. Don’t wait for spring allergies to happen. Keep allergens at bay by starting your spring cleaning early. Clean and dust every surface of the house. Wash the curtains. Vacuum the floors. Don’t forget to change your air filters. As tempting as it may be the let the spring breeze in, keep the windows closed to keep pollen out. This will create a safe retreat during the peak pollen season. Change your clothes once you get home. Pollen sticks to fabric, so you may end up spreading them throughout the house. Water damage is a serious issue that will worsen with time. The longer you wait, the more damage the property will endure. It can also lead to more serious consequences. A short response time is critical when water damage occurs. Here are a few important reasons why you should take fast action when facing water damage. When your home is suffering from water damage, the structural integrity of your home is in danger. Time is of the essence. You need to act fast. Not only will the water weaken the structural integrity of your home, it can also make your home unlivable. A timely response will limit the damage done to your home; thus, preventing you from spending a huge sum of money on repairs. It only takes 24 to 48 hours for your situation to go from bad to worse. Water damage creates wet, moist environments, which provides an ideal environment for mold to grow. If not dealt with immediately, mold may start growing in your home. As you probably know, exposure to mold can cause health hazards. The last thing you want is to have a mold problem. It is important to remove standing water as quickly as possible, clean the affected areas and dry it out completely to eliminate the potential for mold growth. Within 24 to 48 hours after discovering a water issue in your home, Category 1 (clean water) will turn to Category 2 (Grey water). 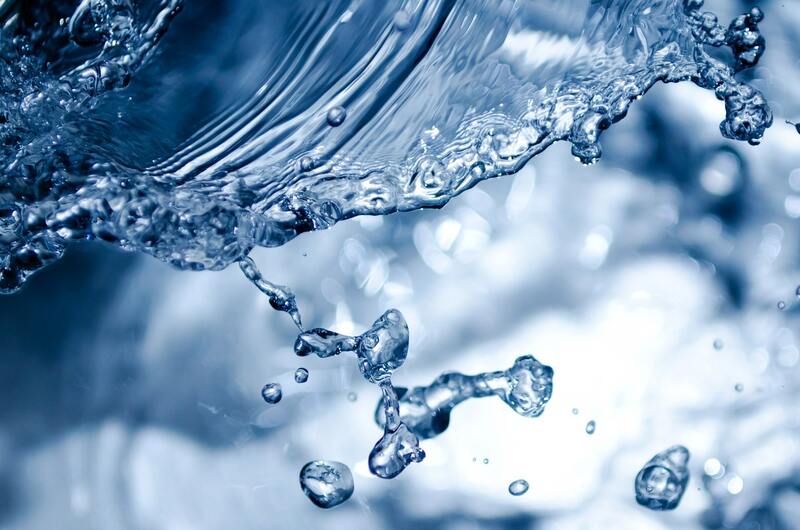 Since bacteria are often present in category 2 water, this may cause discomfort or sickness to your family. In addition, you are at great risk of electrocution when there is standing water in your home. This is especially true when the water has reached any electrical outlets or appliances. For your own safety, please turn off the power source to your home. When you find yourself in a flood situation, there are a lot of things you can do to bring back order into your home. Contacting a reliable water damage restoration company like AdvantaClean is a good first step. Your water heater is one of those important household appliances you rely on the most, especially during the chilly winter months. Unfortunately, most people do not give their water heaters much thought until something goes wrong. Just like any other piece of equipment, it needs your attention occasionally to save energy and prolong its life. When harsh winter weather arrives, you want to make sure your water heater is working efficiently. 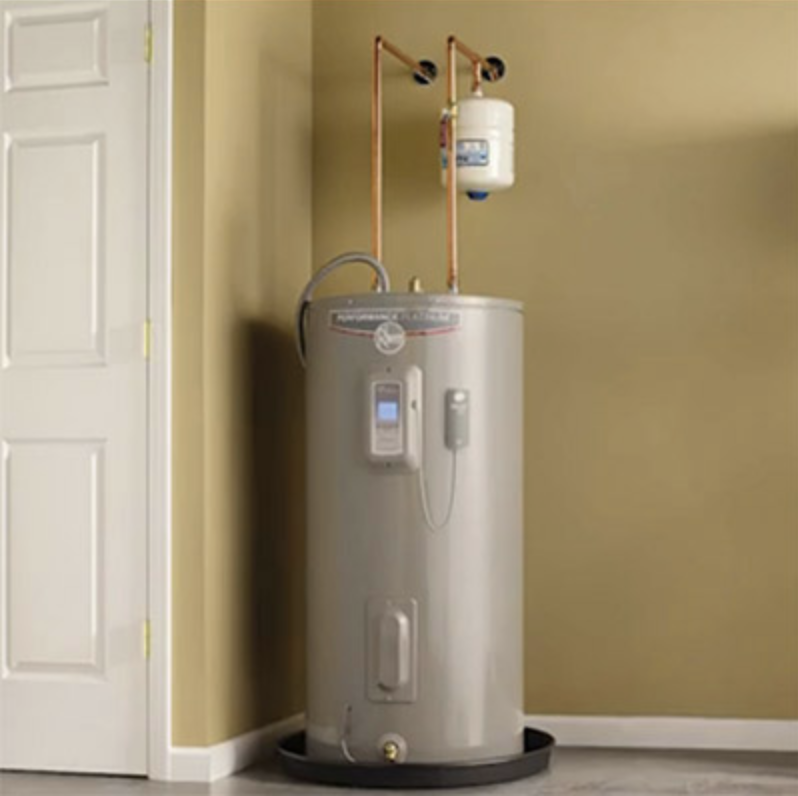 With these maintenance tips, you can increase your water heater’s efficiency and longevity, saving the hassle and expense of a premature replacement. A water heater tank that is warm to the touch needs additional insulation. Go ahead and touch your tank. Insulating your water heater tank is an easy and inexpensive way to improve the energy efficiency and extend the life of your water heater. It can improve its efficiency by up to 40% and reduce standby heat loss by 25-45%. Install a heavy insulation blanket if your water heater is located in an unconditioned space such as the attic, garage or basement. Don’t forget to insulate your pipes as well. Over time, sediment and sludge can collect and settle at the bottom of your water heater. This will prevent your water heater from running efficiently and may even rack up your energy bills. Flushing out these deposits will ensure that your water is in top shape and prevent malfunctions. The frequency with which to flush a water heater depends on the amount of water used and the size of the tank. Water heater leak is something you shouldn’t ignore. If you do not act fast, it can morph into a major flooding disaster that can cause significant damage to your property. Look for signs of a water heater leak. If you notice a pool of water beneath the tank, a leak inside the tank could be the culprit. Sometimes, a water leak can be hard to determine, especially if the leak is slow. Let your senses guide you. Turn off external sources of sounds, stand beside your water heater, and listen for the sounds of water rushing or dripping. Follow the sound and search for visual signs of a leak. If you hear water, but no apparent signs of a leak, there may be a break inside the tank. A pre-listing inspection is done before the house is listed on the market. Some sellers think it’s an unnecessary expense. After all, the buyer will have to get an inspection later on. So, why bother? There are a few ways that a pre-listing inspection can benefit home sellers. Here are some of them. Selling a house can be stressful. Not knowing if there is something wrong with the house can add to your stress. If you’re the type of person who doesn’t like surprises, then we highly recommend that you have the house inspected before selling. Getting ahead of the game and understanding your home’s condition is a big boon to your peace of mind. Your inspector will provide you with a thorough report that may help avoid the unpleasant surprises a home inspection may bring to light later on. There will be less issues for your agent and the buyer’s agent to hash through, and prevent you from becoming entangled in long negotiations. 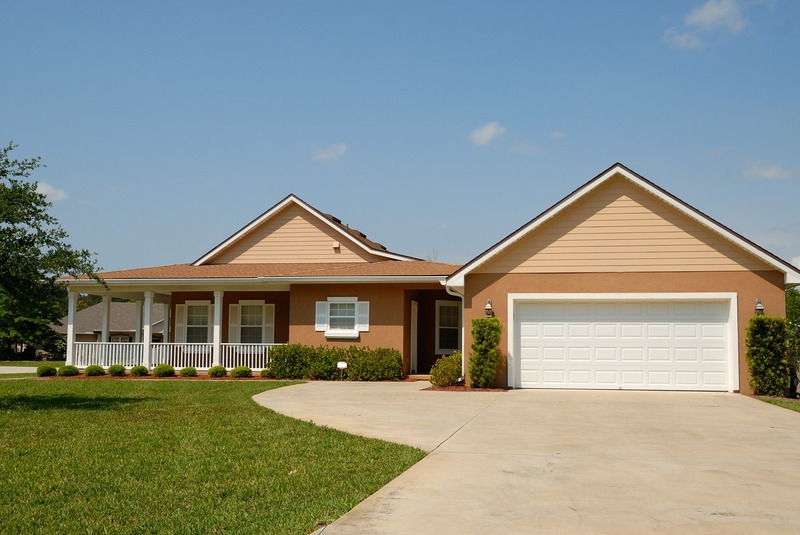 Majority of home buyers are looking for a house that is in pristine, move-in ready condition. They aren’t keen on tackling repairs or renovations after moving in on their new house. By getting a pre-listing inspection, you’ll have a good idea about the overall condition on the house. You have the option to make repairs before listing the house. Not only will it improve your chances of selling, it can also help you sell for top dollar. Since you have enough time to make repairs, you can still shop around and get the best deals from contractors; thus, helping you save a lot of money in the process. If you want to sell your house fast, it is important to price it appropriately. The problem is that, most sellers have an inflated view of what their home is worth. In order to price your home right, you need to look at the selling price of similar houses in the area. Also, you should consider the condition of your home. A pre-listing inspection will help you get a clear picture about the state of your house. This will make pricing the home accurately much easier. In Colorado, winter is the least popular time to sell a house. People are busy with holiday gatherings, the property looks dreary, and not to mention the freezing temperatures. It’s a challenging season and most people think it’s a bad time to sell, but the data tells a completely different story. If you’re ready to sell your Colorado house, then you don’t have to wait. Winter is actually a good time to sell. Don’t believe us? Here are 3 reasons why you should consider putting a for sale sign in your front yard this winter. Spring is the most popular time of the year to sell a house. Most sellers even put off selling until spring. That’s understandable given that selling in the cold, harsh weather can be a bit of a challenge. But come to think of it, if most people are putting off selling their homes, then that means there will be less inventory. Less inventory means less competition. That means, buyers who are serious about buying a house will have less options this time of the year. 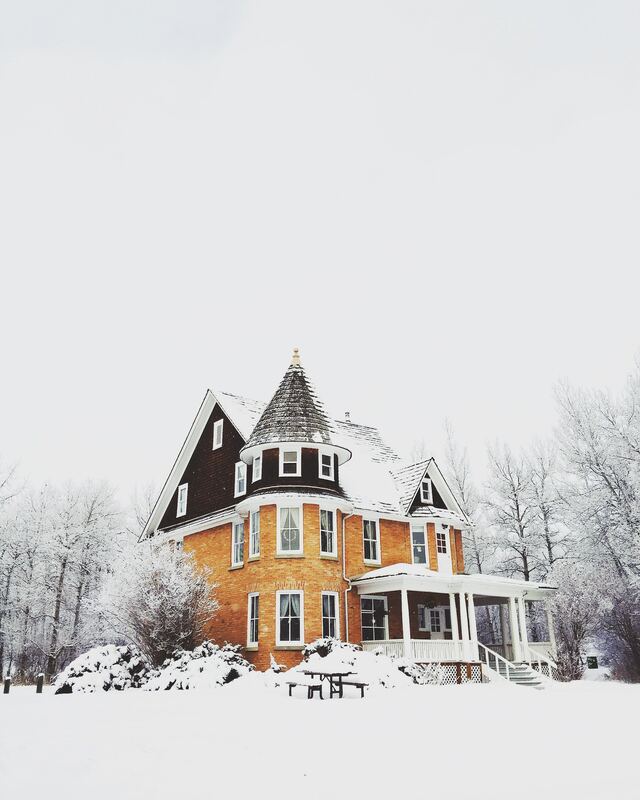 Don’t be afraid to sell your house in winter. Just make sure it’s in pristine condition and it’s priced appropriately, and we can guarantee that your house will capture the attention of potential buyers. From chilly winds to freezing temps to snow and icy roads, the winter weather presents some serious challenges for house hunters. Let’s not forget about the holiday festivities. Just because it’s cold outside or people are busy, it doesn’t mean that there is no demand for houses at this time of the year. More often than not, winter homebuyers are looking to move into a new Colorado house before spring rolls around. They don’t have time to look around. If someone requests to see your house, that means your home is on their shortlist. Plus, they’ll have to be serious enough to buy a house to go out and endure the subzero temperatures. As mentioned above, inventory is low during the winter months. The number of buyers looking at properties are not that high either. That means, real estate agents will only be working with a number of clients. If you decide to sell your house in winter, you’ll have your agents full and undivided attention. Your agent can make different and potentially more accurate plans to market your home. While mold can grow any time of the year, it is in winter when mold tends to become even more of an issue. Mold is a homeowner’s nightmare. Not only is it unsightly, it can also pose a threat to your home and family’s health. Once it starts to grow, it is difficult to get rid of. That said, you need to take some preventive measures to prevent them from growing in the first place. Use these tips to prevent mold and mildew growth in your house during the winter months. Condensation and dampness becomes increasingly common in winter. Many of you probably notice some water droplets on the windows or mirrors. This may not seem like a big deal. But if left unchecked, it may encourage mold growth. Dry window surfaces regularly to keep condensation from accumulating. This can also prevent it from becoming potential focus points for mold growth. Bathroom carry the most moisture in the home. As we all know, mold requires moisture to grow. Keep an eye out on moisture in the bathroom and keep all surfaces clean and dry. Taking hot showers and cooking can provide your home with plenty of moisture. Since you can’t open the windows during the cold winter months, having an exhaust fan can be of great help. Turn on the exhaust fan every time you cook or bathe. Leave it on for about 15 to 20 minutes after cooking or showering to vent out excess moisture. As the temperature drops, so does the humidity level. Winter air is dry and can dry out your skin and mucous membrane. Often, humidifiers are used to combat dryness and add water vapor into the indoor air. Although beneficial, humidifiers can create extra moisture and provide the perfect breeding ground for mold and bacteria. The ideal humidity level for your home is somewhere between 30 to 50%. Use a hygrometer to monitor the humidity level inside your home. Keep humidity levels below 40% to prevent mold growth. Once the air temperature drops below freezing, pipes in unheated spaces may freeze. Standing water left in the pipes will freeze and expand, causing the pipes to burst and flood your home. 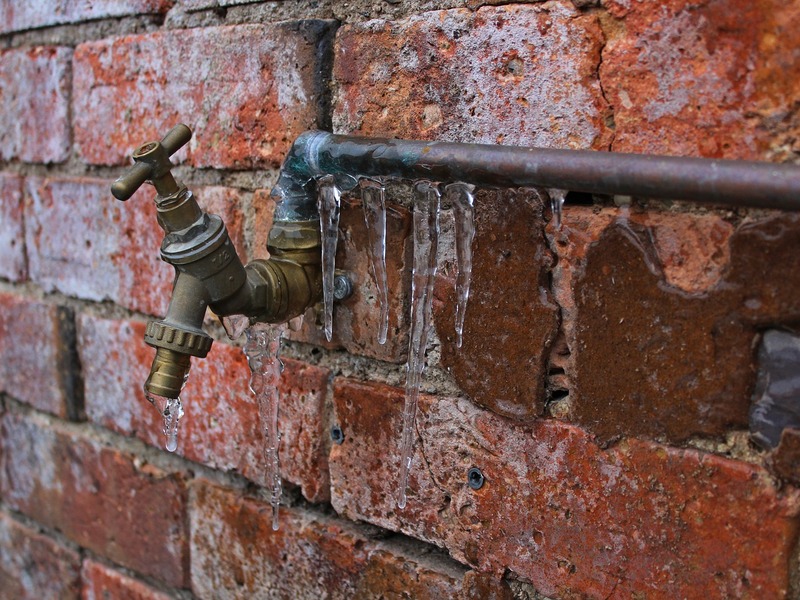 Damage from frozen or burst pipes can cost thousands of dollars in water damage to your home. Prepare your plumbing in advance to avoid a costly disaster this winter season. Pipes in unheated spaces such as the garage, attic, and basement are more prone to freezing and bursting. Luckily, preventing freezing pipes can be as easy as installing fiberglass or foam insulation. Pipe insulation will not prevent your pipes from freezing, it can also improve the life and performance of your plumbing. If your home’s plumbing system is not properly insulated, have it wrapped with insulation to keep the pipes warm. As mentioned above, water inside the pipes may freeze and expand during a cold snap. As such, winterizing your outdoor garden hose is a wise move. Most exterior faucets have a separate shutoff valve. Locate the shut-off valve and turn it off. Go outside and open the faucet. Drain any water out of the pipe. Let the water run until it is fully drained. Drain the hose entirely of water and store it inside the house. Energy bills rise during the winter. Some people turn the thermostat down in the hopes of saving energy. Saving energy is good. But before you go crazy with turning the thermostat really low, you also have to think about your pipes. Turning the heat too low increases the risk of frozen and ruptured pipes. Be sure to keep the heat on and set the thermostat to no lower than 55 degrees. This should provide enough heat to keep the pipes warm and prevent water inside from freezing. It is also a good idea to leave the cabinet doors under the kitchen sink open, so the air can warm the pipes. In case of a major incident such a frozen pipe that has burst, you need to shut off water supply to your entire home. Everyone in your home should know where the main shutoff valve is located, and how to turn it off in case of emergency. This is the best protection against a catastrophic water damage. Your Denver, Colorado house is one of your biggest assets. When it comes time to sell your house, you want to make sure that you get the most money out of it. Often, sellers jack up the selling price, thinking their house is special. After all, they spent several years and have created lots of memories in that house. 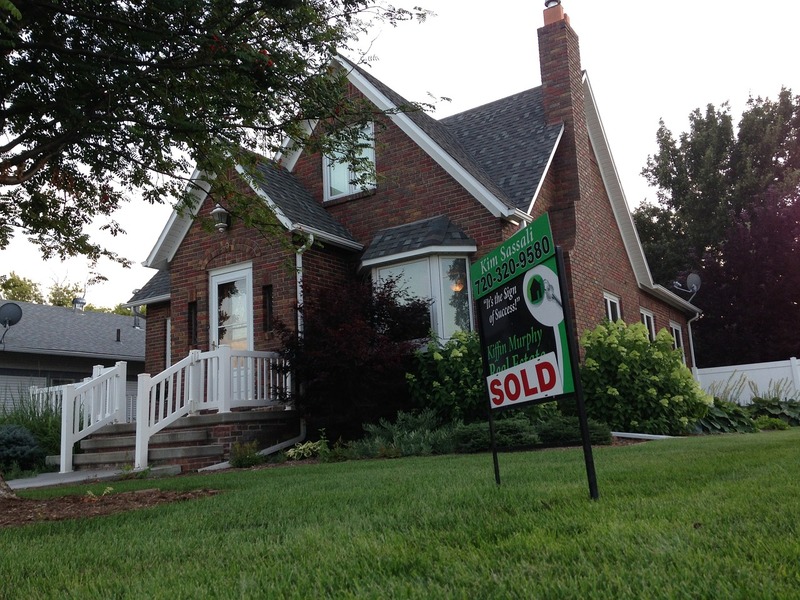 But in a slow market, it is not uncommon for Colorado sellers to reduce their asking price. If you are selling your house and you’re thinking about a price reduction, then this blog post is for you. How do you know when it’s time to reduce the asking price for your home? Read on and we’ll tell you more about it. A buyer’s market is a market with lots of inventories. When the inventory is high, the demand falls. In a buyer’s market, buyers have the upper-hand. Given that there are lots of houses to choose from, they would take their time looking at houses until they find the one that suits their taste and their budget. In order to attract multiple offers, you’ll have to price your home competitively. If you’re motivated to sell and you want to do it fast, then you need to consider the current market value of similar homes in your area. That means, selling your house at a lower price than you initially expect. If you’re not in a hurry to sell, it might be best to just take the house off the market and continue living in your home until the market rebounds. Haven’t received a single purchase offer since you put your house on the market? That can be frustrating, I know. But before you decide to reduce your asking price, you need to determine the reason why you can’t close the deal. Walk around the house and look at the house from a buyer’s perspective. Does it look nice from the outside? Is it in good shape? Now, take a look at your online listing. Does it include high quality photos? Do the pictures show the best features of your house? If not, then you may want to improve on these aspects and see how it goes. How about your selling price? We understand that you want to get the most out of your property. But in order to sell it, you need to price it right. Overpricing is the worst mistake a home seller can make. If you’re not willing to reduce your selling price, then you’ll set yourself up for disappointment. Getting a home inspection will also give the seller an idea of how to price the home. If the home is in dyer repair, the price will be lower than expected. Water damage is a Colorado homeowner’s worse nightmare. Whether it comes from a leaky pipe, malfunctioning appliance, burst pipe or a devastating storm, just the thought of water flooding your home is enough to make a homeowner shudder. Luckily, it can be prevented. Use these tips to minimize the risk of flooding or water damage to your Denver Colorado home this winter. Frozen pipes are no fun. They can cost thousands of dollars in damage, not to mention the risk of mold and microbial growth. Pipes in crawl spaces, attics and outside walls are vulnerable to freezing and bursting during the winter months. Water freezes and expands when the temperatures dip below freezing. Since the pipes are rigid, they are likely to burst when there’s too much expansion. Insulate the pipes that are exposed to cold air. Make sure all the pipes, including the corners and elbows are protected. Also, keep the faucet open during extreme cold weather to release pressure moving down the pipe. This can help reduce the risk of bursting due to frozen pipes. If you are going on vacation, and the weather is very cold outside, we recommend that you leave the heat on in your home. Water heaters have an average lifespan of about 8 to 12 years. But if not properly cared for, sediments can build up inside the tank and corrode. Eventually, this may cause your water heater to leak or overflow. A leaking water heater can cause massive damage. To prevent this from happening, check your water heater periodically for pooling water on the stand it rests on or on the top of the tank. Also, check for moisture surrounding the plumbing connections. Cleaning gutters is an easy job to put off. What people fail to realize is that this simple task can actually prevent future water damage. Your gutter works by directing water away from your home’s foundation. But if there’s a build up of debris in your gutter, it might not be able to do its job properly. As a result, water may spill through the roof, into your foundation and down to your basement. Selling a house is not an easy task. The freezing temps, snow, and the fact that everybody is busy preparing for the holidays make selling a house even more difficult during the Colorado winter. This is why a lot of sellers choose to wait until spring before putting their home on the market. If you are ready to sell your house, you don’t have to wait. Here are 4 tips for selling your home in winter. 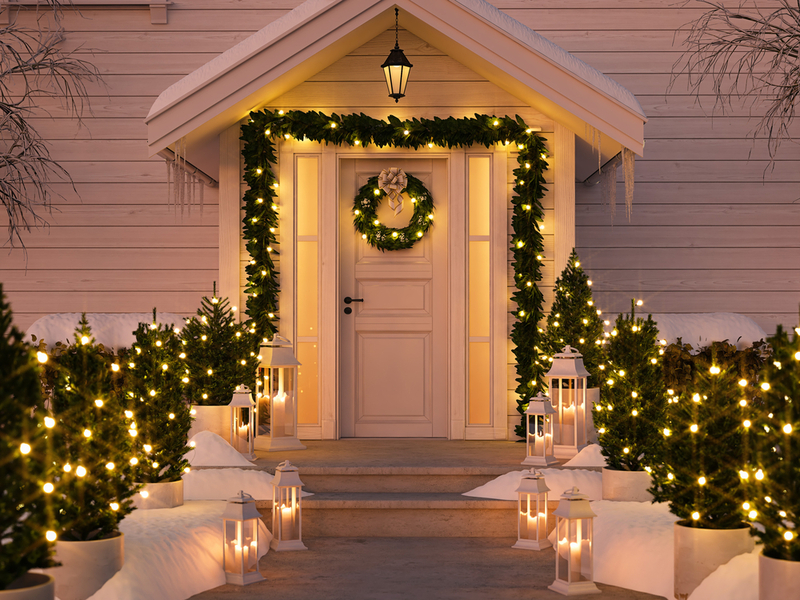 Winter can be dark and dreary, but that doesn’t mean that your home should look old and boring. Spice up your home by painting your front door with a bold color. This will boost curb appeal and make your home more inviting. Evergreen plants can also liven up a drab landscape. If you live in areas where snow falls, it is important that you clear your walkways and driveway of snow and ice. You want to make sure that potential buyers can make it to your front door without an accident. No one likes hanging out in a chilly house. Pump up that thermostat. You want the temperature to be comfortable enough and to give potential buyers a reason to linger. Now is not the time worry about your utility bill. Dark and cramped spaces are a big turnoff for potential homebuyers. After all, no one wants to walk into their new home and feel like they are trapped in a dungeon. Make sure your home has plenty of natural light. 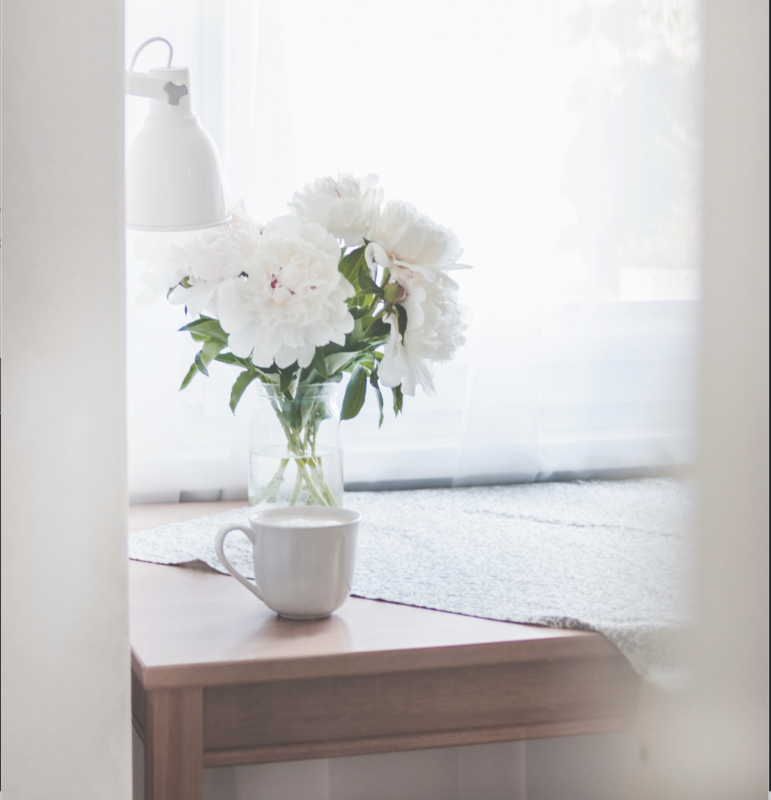 Maximize natural light in your home by opening your curtains and blinds during the day. It can make your house so much brighter instantaneously. It is also a good idea to examine your windows. Any dirt or cloudiness on your panes will deflect light. If you wish to let more natural light in, get scrubbing. Aim for tasteful decorations such as a nice wreath on the front door, a pinecone centerpiece, and silver glass ornaments. When adding holiday decorations, pay attention to the color scheme. Skip the red and green garland if your living rooms has a clean, all-white color scheme. Rather, opt for white candles and a white tree to complement your palette. One last pro-tip; you want to keep neutrality throughout, so you better leave the life-sized nativity scene in storage. Winter is on its way. For many of us, that means heavy jackets, freezing temps, and snow. It’s time to start getting your Colorado home prepared for the winter months ahead. Here’s a list of projects you should consider completing before Old Man Winter bears down on your area. Any holes or cracks around the doors and windows let lots of cold air in and allow heated air to escape. If left unaddressed, this can cause your heating bill to skyrocket. 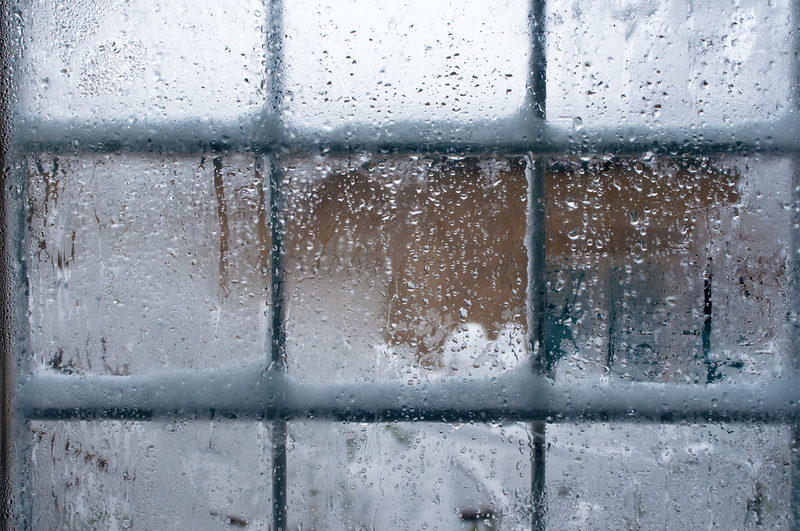 Seal the air leaks around your doors and windows to keep cold air from entering your house. Foam weather stripping can help eliminate those air leaks. Rope caulk can effectively seal larger gaps. Your roof essentially protects your entire household. You want to make sure it is in good repair before the temperatures dip. Visually inspect your roof. One of the easiest ways to spot roof leaks is through your attic. Go to the attic on a sunny day and turn the lights off. Look for small specs of light coming through the shutters. Also, look for streaked or water-stained areas on the beams or roof trusses. If you spot any of these, it is best to call in a professional and have it repaired. Minor roof damage can lead to leaks and an assortment of problems eventually. Get your roof fixed before the weather turns bad. It is not uncommon for gutters to accumulate leaves and other debris. Clogged gutters can spell trouble for your home. 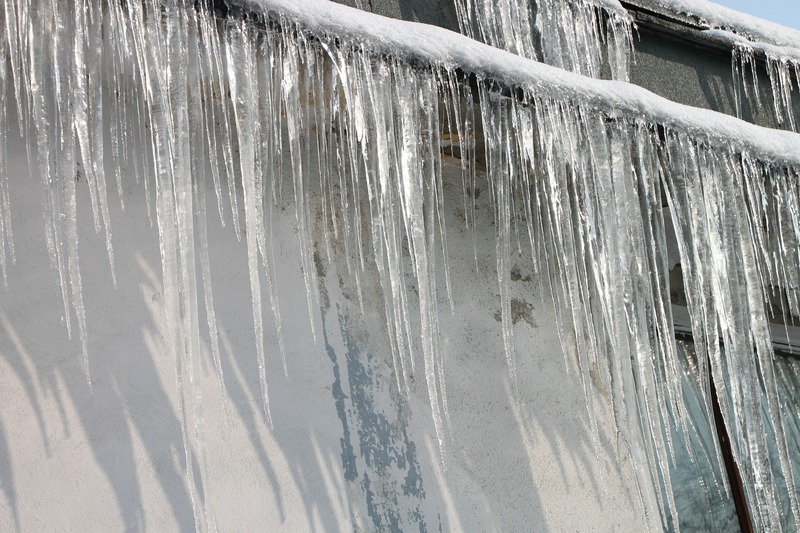 They can allow snow and melting ice to seep into your roof or flood your home’s foundation. This is why it is important to clean and flush out your gutters at least twice a year, preferably in the spring and fall. Most people dread getting on the roof to clean the gutters. Keeping your gutters clean is a must to keep them performing properly and protect your roof, walls, and foundation from damage. During the winter, the furnace becomes your most important appliance. It helps keep you and your family warm and toasty despite the frigid weather. That said, you want to make sure that your heating system is up to snuff and ready to roll before winter weather strikes. Schedule your annual HVAC maintenance to ensure your furnace operates optimally in winter. During the HVAC inspection, your professional technician will check all parts of the furnace, make repairs and make sure that the system is clean and in good repair. If you put it off until winter, you might have to wait for a long time because a lot of homeowners are also in need of their services.